Abraham Lincoln document signed as President, appointing Robert McBratney to Register of the Land Office in Junction City, Kansas. Coined ''Bleeding Kansas'', the state was famously at the center of pre-Civil War hostilities over whether it would be a free or slave state. 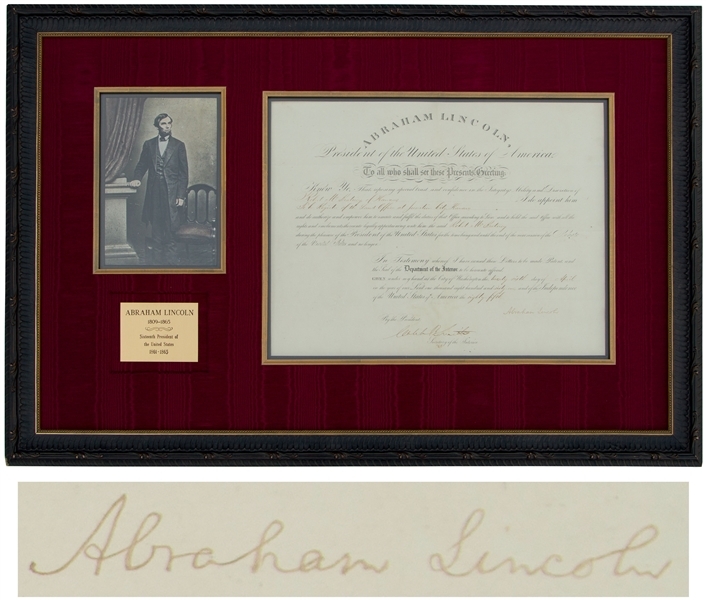 Lincoln signs at lower right with his full signature, ''Abraham Lincoln'' on 26 April 1861, just after the first shots of the Civil War were fired at Form Sumter. 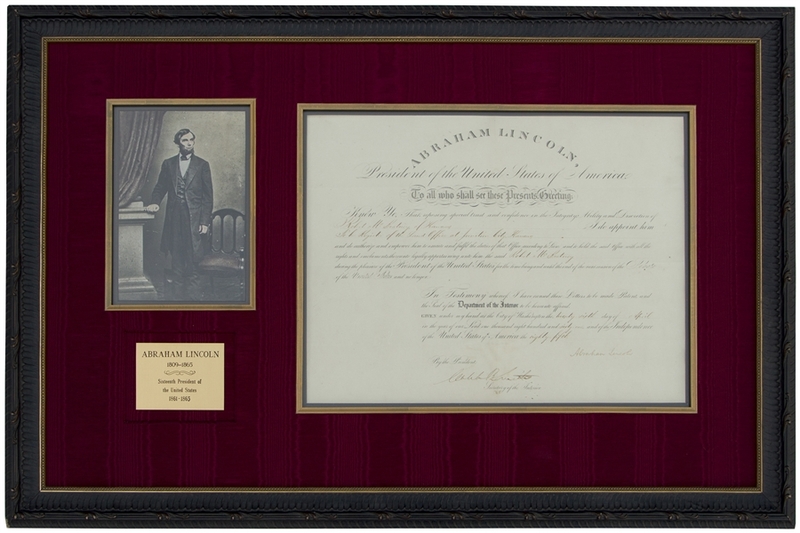 Document measures 18'' x 14'', beautifully framed in red moire silk matting with a photograph of Lincoln to a size of 36.5'' x 24.5''. Folds, otherwise near fine condition. 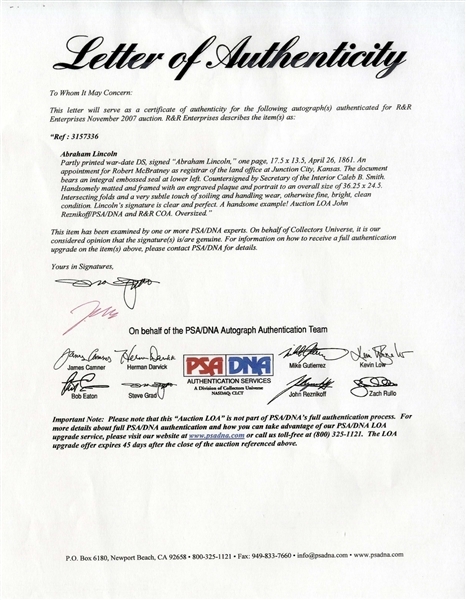 With an auction COA from PSA/DNA.